Israel has approved more than 2,000 new settlement units in the West Bank, a move Palestinian authorities say was encouraged by the United States. 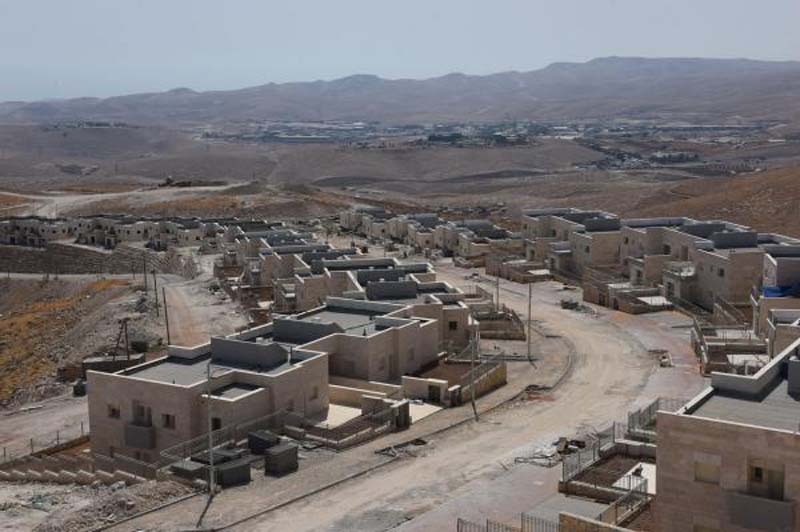 Israel's Civil Administration said at least 696 of the new units were approved and 1,262 were advanced through an earlier planning stage known as a "deposit." More than half of the new units will be built in the Tana, Omrim, Carmel, Ali Zahav, Tzofim, Talmon, Neve Daniel and Kiryat Araba settlements. Another 500 were approved for other areas. Palestinian Liberation Organization executive Ahmad Majdalani said Israel's plan to build more settlements is owed to U.S. support, and that new construction undermines the Israeli-Palestinian peace process. Since U.S. President Donald Trump took office, nearly 14,500 new units in the West Bank have been approved -- more than three times the number approved in the 18 months before his inauguration. "We encourage all parties to continue to work towards peace," the U.S. administration said Wednesday. "The Israeli government has made clear that going forward, its intent is to adopt a policy regarding settlement activity that takes the president's concerns into consideration." France condemned the decision for new settlements, saying it "threatens the very possibility of a viable and contiguous Palestinian state." "Settlement activity is contrary to international law," the French Ministry for Foreign Affairs said in a statement. "In all of its forms, it promotes the de facto annexation of the West Bank, hinders the two-state solution and undermines the search for just and lasting peace. It also increases tensions on the ground and between populations."